Personality disorders present many challenges to the medical and helping professionals who treat and care for them. Marcy Conner will share knowledge and insight as a professional counselor who herself has been challenged with facilitating effective psychotherapy treatment for these clients. As a helping professional, do you find yourself challenged with reactions to some clients such as apprehension, anxiety, strong emotional responses, dislike or avoidance? Are you struggling to cope with and interact or care for clients who have long-term unhealthy and inflexible thinking and behavior patterns? Determine what a personality disorder is and how to recognize if a client is suffering from the condition by identifying general signs and symptoms. Understand the possible causes of a personality disorder to provide more empathetic responses. 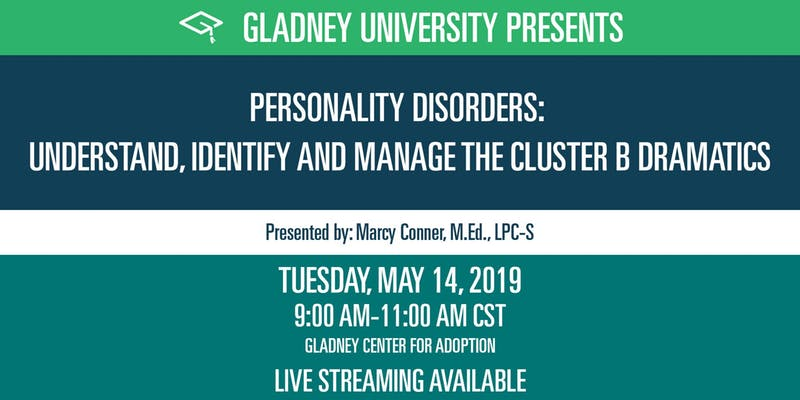 Summarize the essential characteristics of the Cluster B dramatic personality disorders listed in the Diagnostic and Statistical Manual of Mental Disorders, 5th Edition, (DSM-V) and gain knowledge of different treatments available. Address ways to manage suicidality, violence and self-mutilating behaviors often presented by these clients. Gain a better understanding of how to work with and manage these complex conditions, like these clients, or at least develop more frustration tolerance and have a positive impact on them. Marcy Conner M.Ed., LPC-S, NCC is the owner and founder of Compassion Centered Counseling and a Licensed Professional Counselor in the State of Texas. She has worked in private practice settings since 2009 with both individuals and couples. Her areas of expertise are primarily in work with clients struggling with trauma, PTSD, and complex trauma, anxiety, stress, marital/relationships, pre-marital, parenting, blended families, life transitions, depression, grief/loss, bipolar disorder, anger, personality disorders and women’s issues. Ms. Conner is certified with the Couples Institute and The Developmental Model of Couples Therapy in order to help couples resolve issues and create strong, loving relationships. She is EMDR trained with EMDRIA for an integrative psychotherapy approach for the treatment of trauma and other psychological stress. Ms. Conner focuses on guiding individuals on a path forward with positive intention and choices, healing, and growth. She uses her knowledge and experience in the forefront of modern psychotherapy to deliver a complete learning experience to other mental healthcare professionals.